Maintain your boat and engine so you'll be safe. Your boat and engine will also last longer so you'll have more fun on the water. ^ Check the inside and outside of the hull when your boat is out of the water. ^ If you have an aluminum hull, sand the white rust spots with fine sand paper until the metal is shiny again. ^ If you have a fiberglass hull, use gentle soap to remove oil and algae. Fix holes with fiberglass patch compound. ^ Avoid using toxic cleaners and paints on your boat. Chemical products should only be used on your boat when it is out of and away from the water. These products must be kept out of the water and disposed of properly. ^ Hang canoes upside down. ^ Keep lines and ropes clean and out of the sun when you're not using them. Dirt, sand and sun wears them down. Replace old ropes. ^ Sew or tape torn and frayed sails. 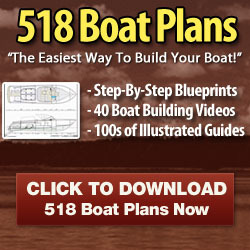 ^ Follow the maintenance schedules found in the boat owner's manual. ^ Keep the engine tuned and the battery charged. ^ Check the oil and fluid levels before each trip. ^ Change the oil regularly. Older engines need oil changes more often. ^ Keep the battery connections clean, tight and corrosion free. ^ Keep the engine clean. Oil and grease buildup can soak up moisture and short out your electrical system. ^ Check belts, bolts, hoses, nuts and screws for proper fit. Tighten, repair or replace bad parts.